This is a great AM radio, built around a TA7642 AM radio chip. 1930s it would say you can take it camping, or take it on your bicycle. camera when it came close (sounds like a whistling tea kettle). From the top. Doesn't look like much here but it works very well. I can take it camping and on my bicycle. 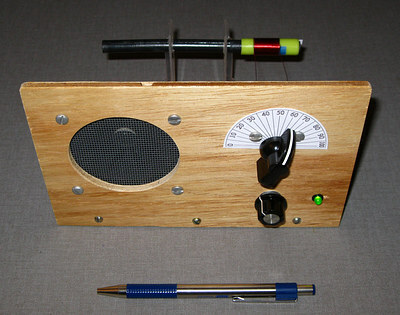 The coil is the simplest part, but one of the most important parts of the radio. This one is wound on a plastic cap from a highlighter. 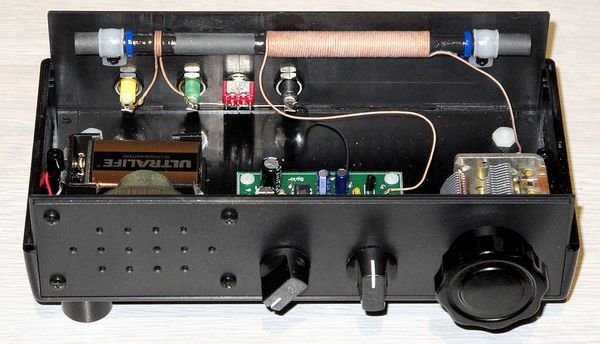 Why not just wind it directly on the ferrite rod, and what's that little white thing on the left side of the coil? Stay tuned. 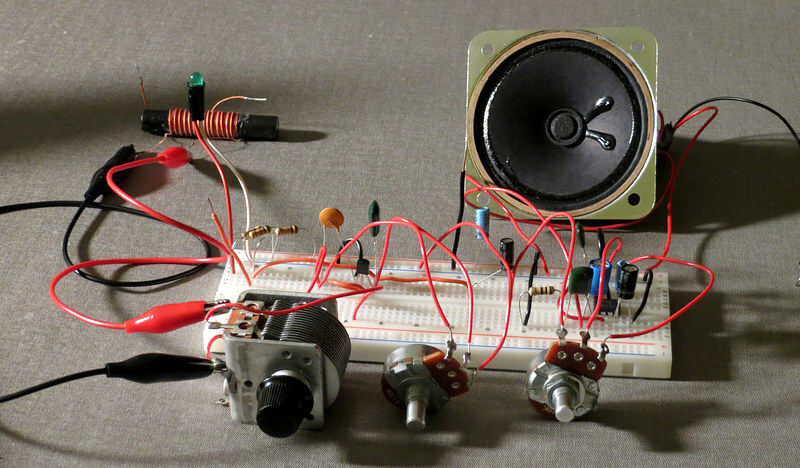 This project started with the building of a Ferrite Fox. 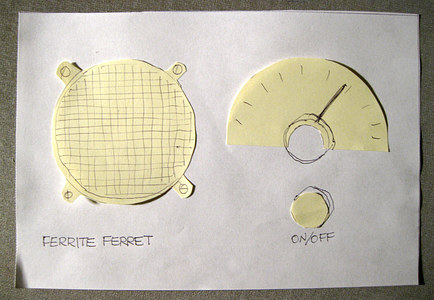 What is a Ferrite Fox? 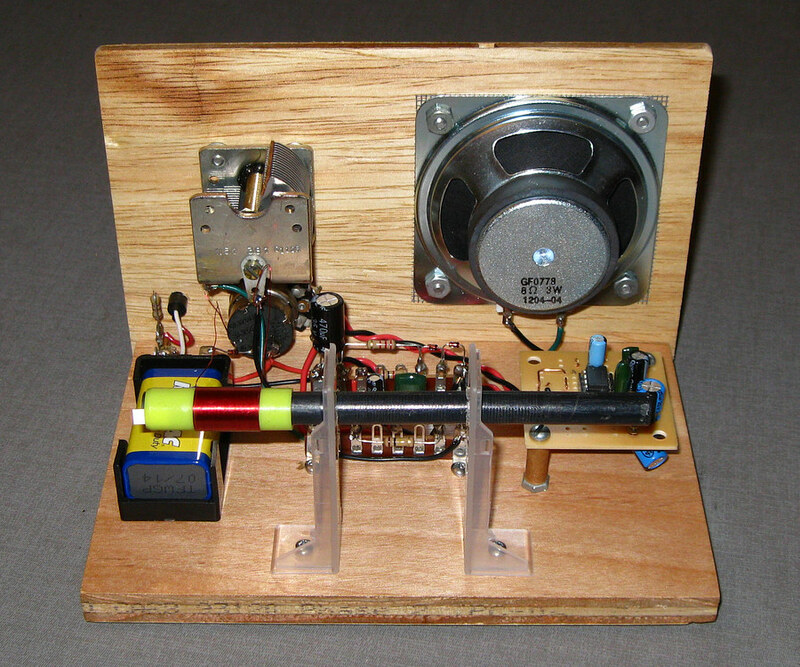 The Ferrite Fox, version #5 built by "Night Flyer". Read about it here. 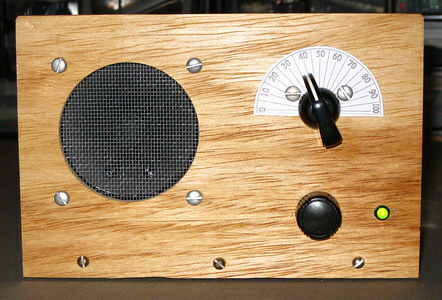 This is the most serious rendition of a TA7642 or MK484 based radio I've found. 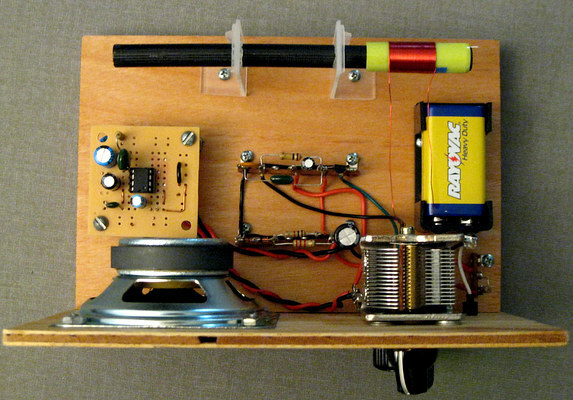 Built on a printed circuit board and mounted in a plastic enclosure, you can take it camping or on your bicycle. 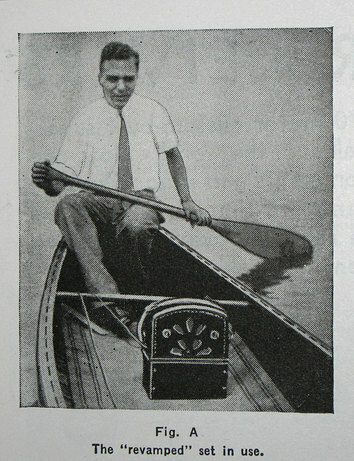 This guy, in 1933, took his version of the Ferrite Ferrite on a canoe! 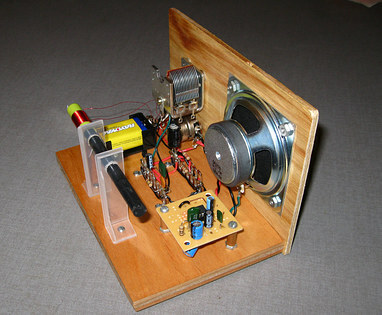 It's an AC tube set modified to work on batteries. What is the first thing he did with it? He grabbed his bicycle, rode to his camping spot and got into a canoe with it. Tube radios and water are a good mix. So are long pants and a tie when you capsize your canoe. Is that Ralph Nader? will show some of the building of this one, and a few tips you won't find anywhere else.